I didn’t think this story ran in the Atlanta area and it didn’t come up in any searches until yesterday. 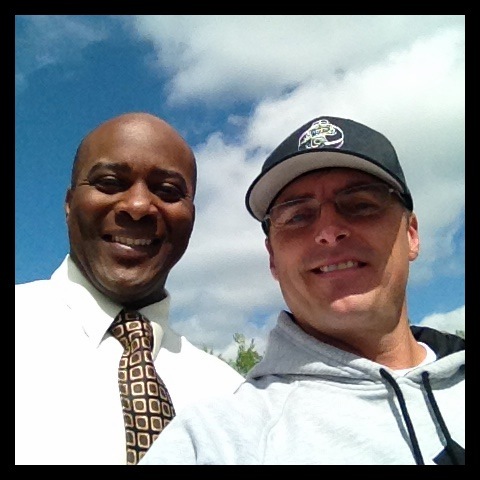 I post this because I am amazed that people like what I am doing, and that I got to meet Ron Gant, who was very nice. I have been impressed with the media that have taken an interest in the Baseball Buddha story. Click, Atlanta Interview with Ron Gant, to view the video from the segment that appeared on Good Day Atlanta a few weeks ago. For all the non-baseball fans out there, Ron Gant played in the MLB for eight different teams over 15 years before becoming a sportscaster and host for Good Day Atlanta. To find out more about Ron, click here. The blog post I did for that day was the popular Day 77 “Models…”. John that interview with Ron Gant is so fantastic. It is so nice to see and meet you here in this way, and the only thing better would be meeting you in person, and I believe things like that can happen even when I don’t know the way. I also believe that is part of what keeps you going on this journey. Best wishes John! Paul.